nos.twnsnd.co - New Old Stock - Vintage photos from public archives. Search among millions of historical photographs. 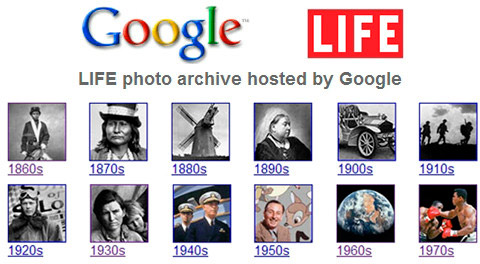 Search for photos from the LIFE photo archive, from 1750 to today. Most have never been published and were first made available through the collaboration of Life and Google. Are you interested in reading old newspapers? Yes, for me. There everything is different, other pictures, other topics are raised. They are like a reflection of their era. Why not make such a site, there is no old site like on Internet, it's not interesting, but the site is in the style of an old newspaper. A site that looks like it could look 100 years ago. Stories and news in pictures.